Oregon Aero. What do you think of when you hear that name? For me, the answer is easy; quality and ethics, morals and good business. I cannot remember the year, but I do remember the seminar. It was an Oshkosh forum about aircraft interiors. During that presentation, the name Oregon Aero was mentioned. Ten minutes later, everyone had shared a story of their positive experience with the company. Here at Lee Bottom we’ve always attempted to have the best sponsors. Not just any sponsor, but the best. Therefore, when Oregon Aero said they’d like to contribute to our online auction fundraiser (running in conjunction with the fly-in) we were very pleased. 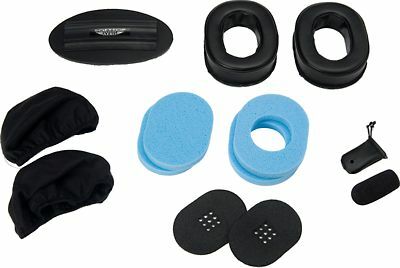 One of the items up for auction - a headset upgrade kit. Flying should be fun, not uncomfortable. It should also be ethical. Good business makes for good aviation. This is another area in which Oregon Aero excels. When you do business with the company, you are doing business with the owners and its employees. They stand behind what they produce and they love their customers. For fun, I googled “ethics and morals Oregon Aero.” Although I couldn’t find anything bad, there was no shortage of good things. Anecdotal stories of how they took care of soldiers’ needs for better products, how they helped pilots struggling with poor ergonomics, and how the folks at the company were generally good people were abundant. I could go on but I think you get the point. Thanks to the folks at Oregon Aero for believing in us. We’re excited to have you on board. Click here to bid on some quality products from Oregon Aero and support the Lee Bottom Aviation Refuge. ***Airlines are notorious for purchasing the cheapest seat options for the pilots. You think you have it bad in the back, the seats up front are hell.